OpenEdge Advanced Business Language (OpenEdge ABL) is a business application development language created and maintained by Progress. 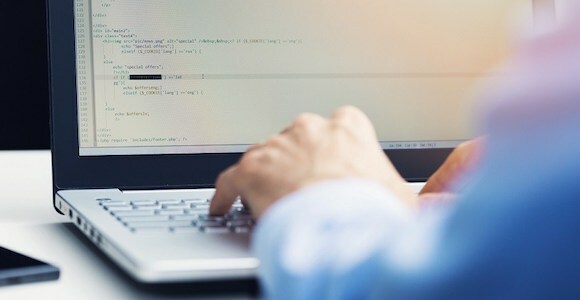 It boasts ‘English-like’ syntax and has ingrained connectivity to (and programmability for) relational databases… and as such, it is typically regarded to be a Rapid Application Development (RAD) tool. Previously only available from Progress Services, the Spark Toolkit was created in collaboration with the Progress Common Component Specification (CCS) project. What is the CCS project? This is a Progress-specific programme that brings together a group of Progress OpenEdge customers and partners to define a standard set of specifications for the common components for building modern business applications. Progress OpenEdge itself is an application development environment with various components including a development language (the aforementioned ABL), the Kendo User Interface building and a selection of other ‘companion solutions’ that focus on tasks such as data replication, data management… plus a whole set of application layer technologies including application server plus business process management & business rules management. By engaging the community in its CCS project, Progress claims to be able to bring forward best practices for the development of these standards-based components and tools for interoperability, flexibility and so on. John Ainsworth, senior vice president of core products at Progress notes that there are currently 10 components available within the Spark Toolkit. The first three are required components focused on starting up and bootstrapping sessions, business services and an authentication component. The toolkit’s compliance with the CCS means that customers avoid component lock-in risk and can choose from a variety of vendors that implement to the standard. It is compatible with the latest version of OpenEdge 11.7 and is available under Apache License 2.0. More components are expected to be added in the future.